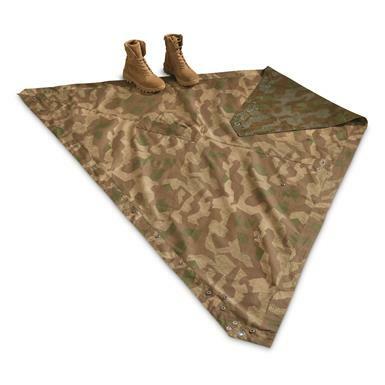 First issued to members of the German Wehrmacht in 1934, the basic Zeltbahn Quarter is a lightweight triangular water-repellent sheet of cotton, intended as a poncho or rain cape. Each solider was issued one. Edges are designed to button together to form larger sheltering options. 2 Quarters can combine to provide a weather barrier on 2 sides. And 4 can combine to form a single 4 person Tent. 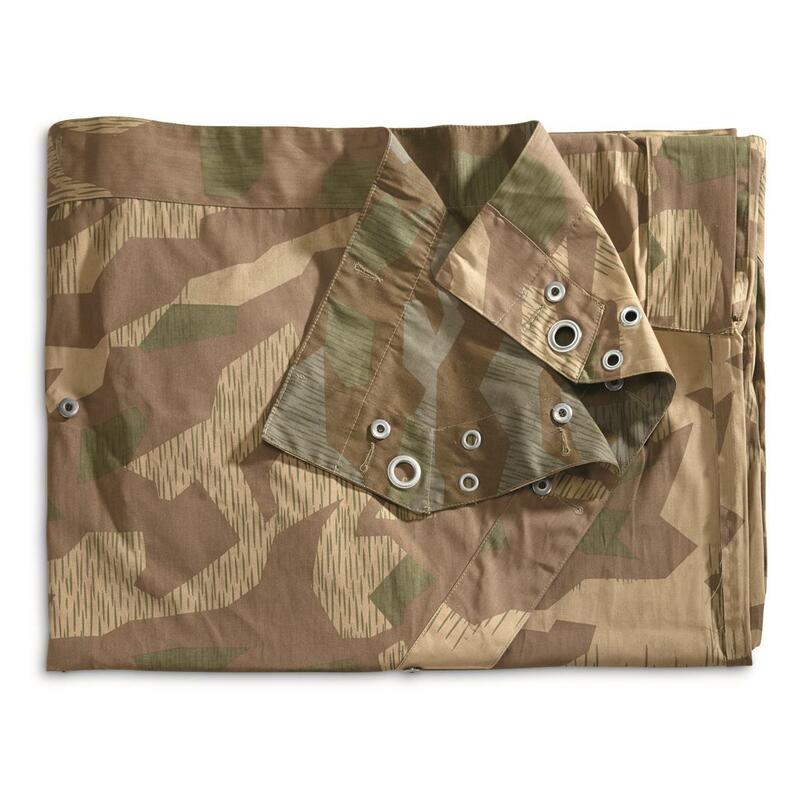 This replica is made to original M34 specifications, in reversible Splinter Camo. A history lesson and conversation piece, but also a real working survival tool for the trail. A historical relic of wartime concealment. In its original design, soldiers were instructed to use this Splinter Pattern to disguise command posts, foxholes, trenches, machine gun nests, and ammo caches. The camouflage works well in all varieties of temperate woods and fields. Lots of potential for hunting applications, as well as concealing your secret backwoods hang-out.